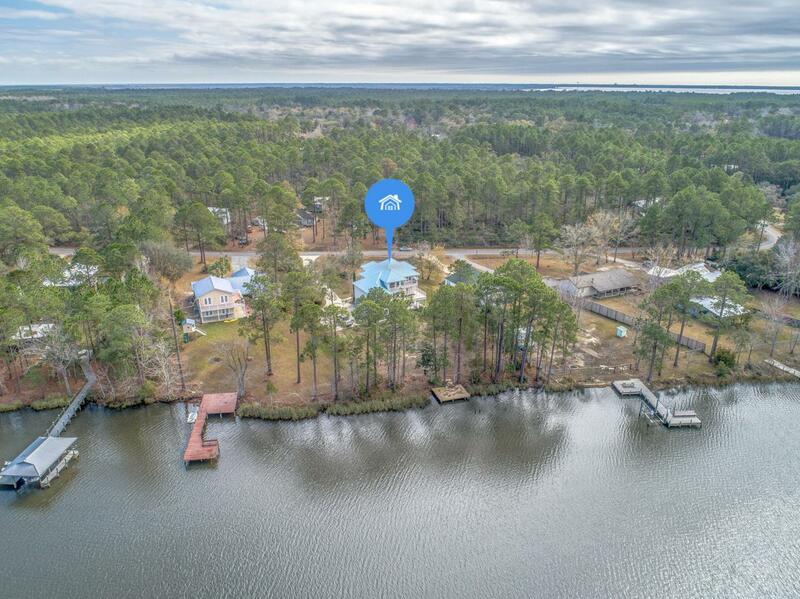 WATERFRONT home directly on beautiful Mallett Bayou! Step outside your back door and go kayaking, paddleboarding, or even crabbing! A boater's and fisherman's dream, you can be out in the Bay in 5 minutes! 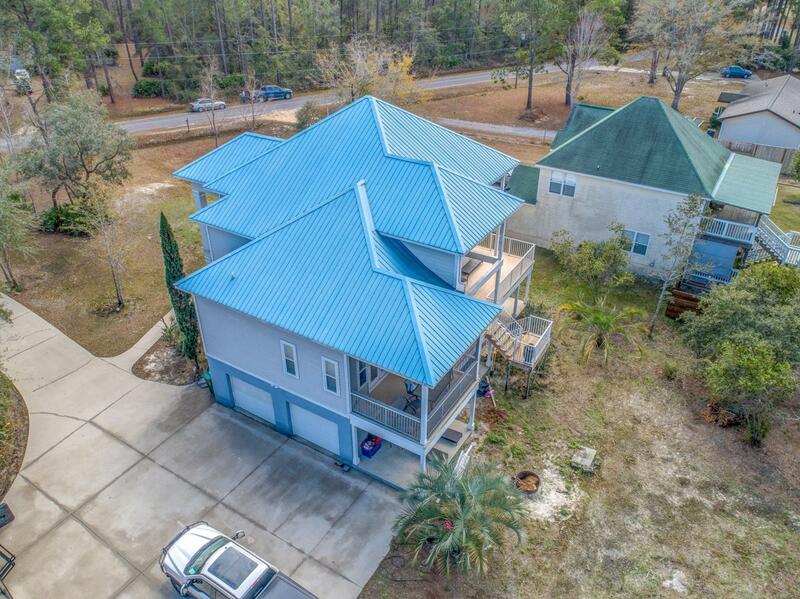 Enjoy peaceful and quiet living surrounded by nature- watch pelican and herons land on the water and feel the breeze as you relax on your dock or on one of the home's several balconies. 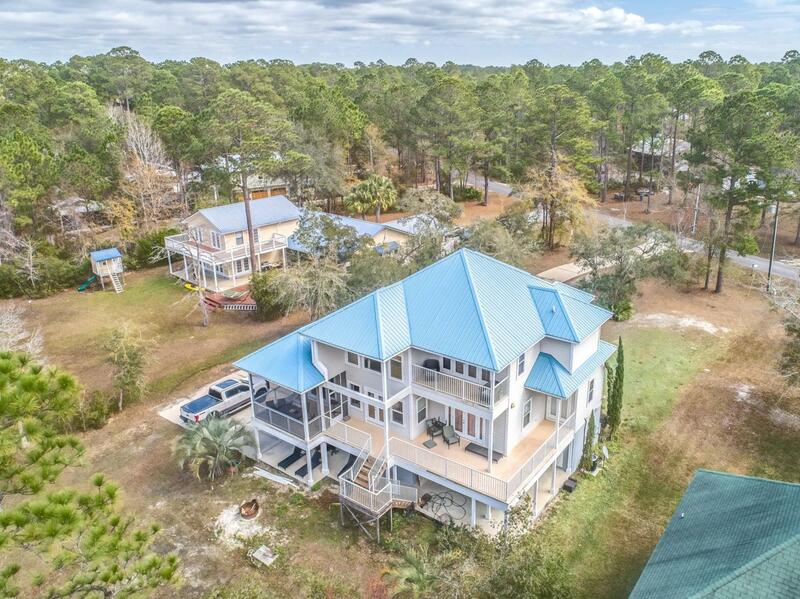 Centrally located to the growing city of Freeport, and within minutes to the beautiful, white, sandy beaches of South Walton County. 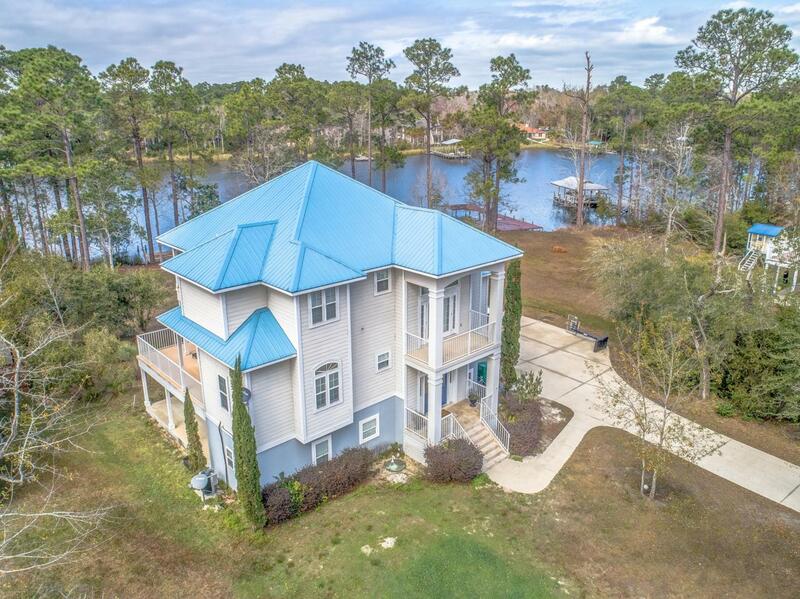 This home is situated on almost 1 acre, away from the hustle and bustle but close to it all.This 5 bedroom, 3 bath home lives large with high ceilings, and windows that let in that warm Florida sunshine and afford incredible views of the bayou. This home offers space and comfort for a large family and for visiting guests. On the first floor there is a 2 bedroom, 1 bath "apartment" with full kitchen and living area and with separate access from the outside. This area is in the process of a complete remodel-granite countertops and new cabinets in the kitchen and bath, brand new tile floors, and large walk-in shower with glass door. This spot would be perfect for out-of-town guests to have a sense of privacy, for older children, or could even be potentially rented for extra income. The second floor, or main floor is the perfect gathering spot after a long day out on the water! The open living, dining, and kitchen area has a screened-in balcony, perfect for relaxing or dining al fresco. Off of the living room there are French doors leading to another balcony with gorgeous water views. Two large bedrooms with newly installed carpet and I full bath are just off the main living area. Walking up the stairs to the 3rd floor landing, another set of French doors opens up to a front-facing balcony- perfect for enjoying your morning cup of coffee. The 3rd floor Master Suite boasts a large bedroom, a HUGE walk-in closet and a bathroom with whirlpool tub, double vanities and separate walk-in shower. This space has the potential to be a spa-like oasis with just the right finishing touches. This bedroom also has French doors opening to another balcony- sunrises and sunsets with incredible water-views await! This home has an ELEVATOR, 3 BRAND-NEW AC units, and a 2 CAR GARAGE. Make your appointment to see this unique home soon!!! Home is being sold AS-IS. Information contained within this listing such as square footage is deemed to be accurate but not guaranteed. Buyer to verify.